Minimum Admin Theme at github.com is a device-agnostic, modern responsive design that is customizable. It's designed to work well on desktops, laptops, tablets and mobile phones. 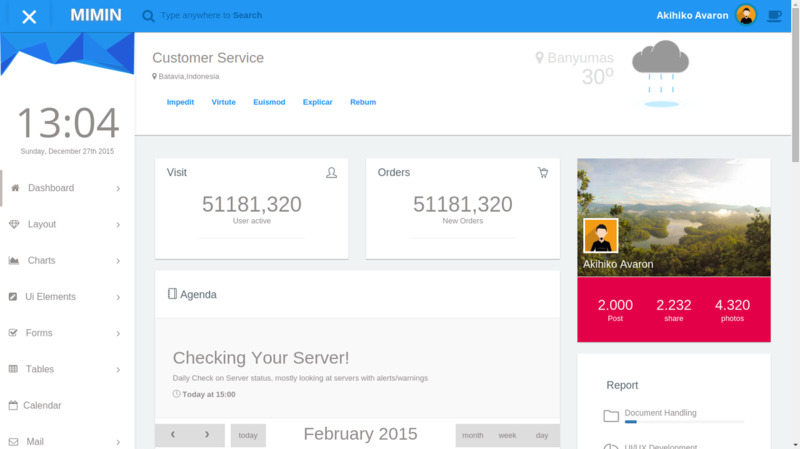 Mimin is a fully responsive admin template that's based on the Bootstrap 3 framework. This open source theme features a modern design and css animations. It also includes many functional examples such as charts, pricing tables, cards with various layouts and notifications.